Do you know how to choose fashion hats for your baby? 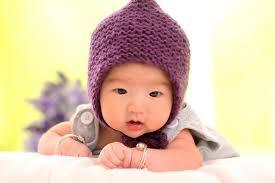 - Diaper Service Do you know how to choose fashion hats for your baby? The market for baby hats is quite diverse and plentiful with a variety of summer hats, winter hats, wide-brimmed hats, beach hats, fashionable hats for moms and babies. 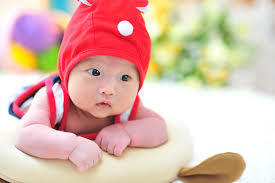 Hats help your baby to protect his health. Here are some shared tips on choosing fashion hats for babies, please keep it in mind when choosing hats for your children. Depending on the season, choose a suitable hat style for your baby. For summer hats, please choose the wide-brimmed sun hat for your baby. For winter hats, prioritize earmuffs to keep your baby warm. In addition, the product design also depends on the age of the baby. For babies, mothers should choose hats with as simple design as possible, little seams, little accessories, and tighten the baby’s head. For older children, mothers can depend on their gender and interests to choose the right style. For boys, a baseball cap printed with a heroic figure, a familiar cartoon character will suit him very well. While for girls, cute animal hats, fruit shapes, pink colors or polka dots will be perfect for matching baby girl clothes. ← How many types of baby strollers?